Speed provides many benefits along with some casualties. 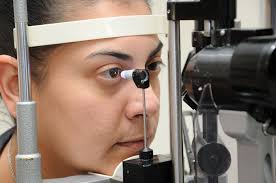 I’m grateful for advancements in medicine starting with glaucoma tests. I was very young when I had the first one when my father was diagnosed with glaucoma. It took forever, was uncomfortable and horrifying. Today’s test [photo right] is over in a flash. Thank goodness for dentists’ high speed drills. In another field, I’m grateful to see links to articles shortly after they’ve been posted, as a result of pitches I’ve made on behalf of my clients. Thank you Google Alerts. In “Service of Cooking Under Pressure” I wrote about the Instant Pot that works for many but blows up and intimidates others. 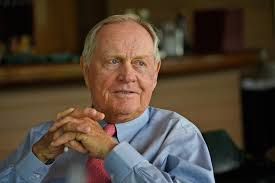 I heard about another casualty of our zoom-zoom expectations on the Len Berman and Michael Riedel morning show when they interviewed legendary golfer Jack Nicklaus earlier this week. Golf is losing players and followers among the young because it takes so long to play or watch on TV: 4 hours vs. 3 hours-and-change for most other sports. Nicklaus admitted that the golf pundits must figure out ways to speed things up. 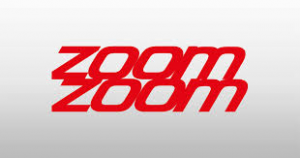 Speaking of speed, do people still speed read today? It used to be a big thing that never caught on with me. What do you appreciate that takes less time today than before? Are there some things that should be slow or shouldn’t–or simply can’t–be revved up? This entry was posted on Thursday, April 5th, 2018 at 1:03 pm	and is filed under Medical Care, Speed, Sports, Technology	. You can follow any responses to this entry through the RSS 2.0 feed. You can leave a response, or trackback from your own site. I can appreciate the advantages of speed in some of the aspects of our daily lives that may be positive, but there are tradeoffs. Those Concorde flights that I took in the 1970s and ’80s had their advantages. However, I was lucky enough to have travelled to Europe by sea a few times in the days before ocean liners became obsolete. I remember and I assure you that I’d swap any ten Concorde crossings to get just one by sea. That says it all. I was on such an ocean liners as a child when I had three month long summer vacation. I adored the boat: I saw movies, ate great food, was allowed to roam free usually with a newfound friend. With one to two week vacations typical today, a boat has lost its appeal. The giant cruise ships with thousands of guests sounds unappealing as well. Frankly, I like to get somewhere and explore, not spend my time traveling to my destination. Modern technology has made life easier and more pleasant in many respects, but everything has a price, identity theft being the costliest, and unwelcome surveillance the most intrusive. Golf may be speeded up by reducing the number of required holes and/or the use of motorized carts as opposed to walking. A huge remedy for the TV viewer would be the lessening of the long and boring ads which often cut into important plays and lessen enjoyment of the game.